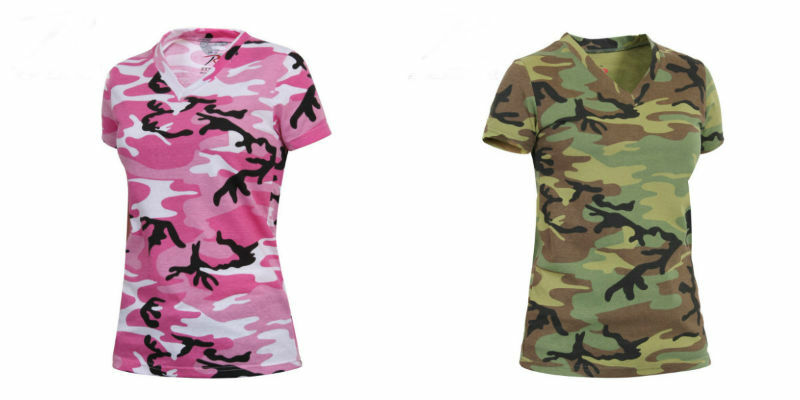 Women's Long Length Style V-Neck T-Shirts are designed similar to our longer length camo tee's for a more comfortable and flattering fit that extends past the waist with a V-Neck style collar. The V-Neck style camo t-shirts feature a cotton poly material and they are perfect with a pair of jeans or the Booty Short Collection. Available in Pink Camo and Woodland Camo. Sizes XS to 2XL.